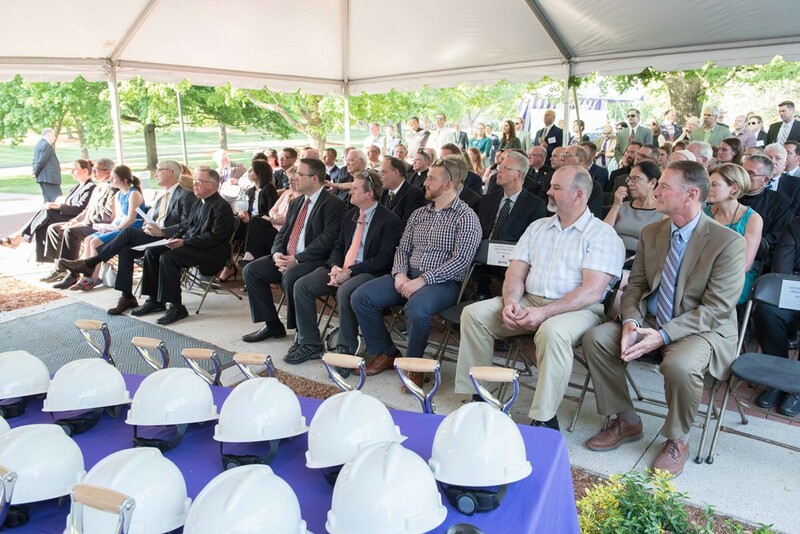 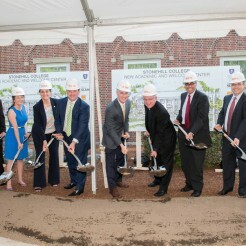 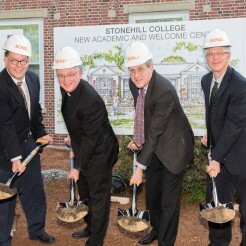 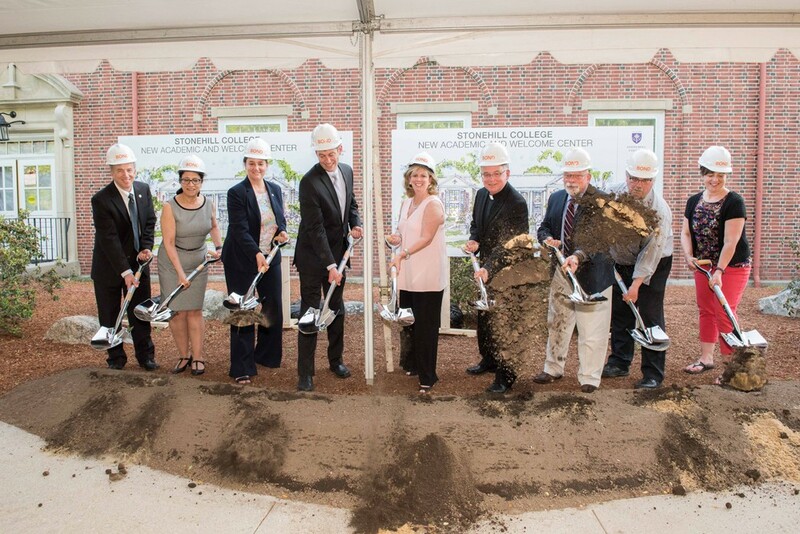 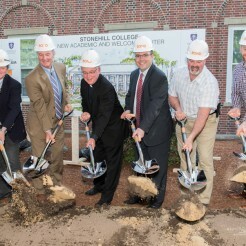 On Thursday, May 18, the Stonehill community gathered to break ground on the College's new Academic & Welcome Center. 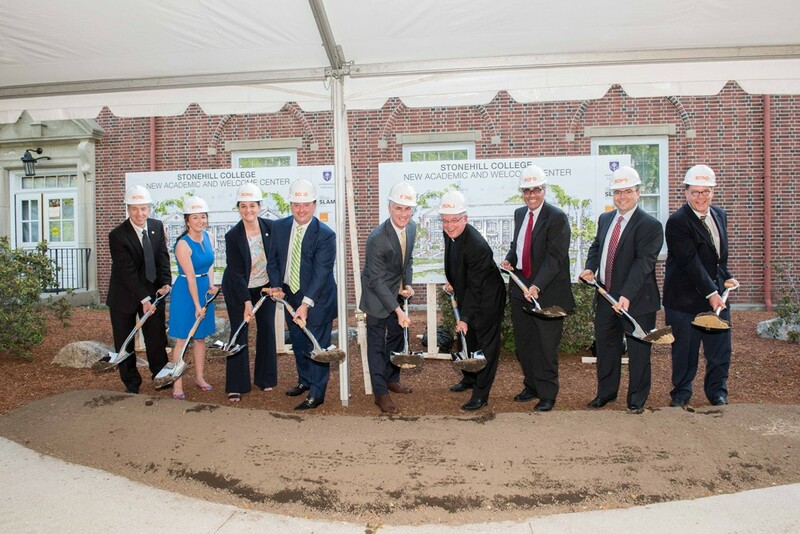 The Center, which will be built on the site of the Old Student Union, will be a cornerstone of plans to transform the academic quad on campus. 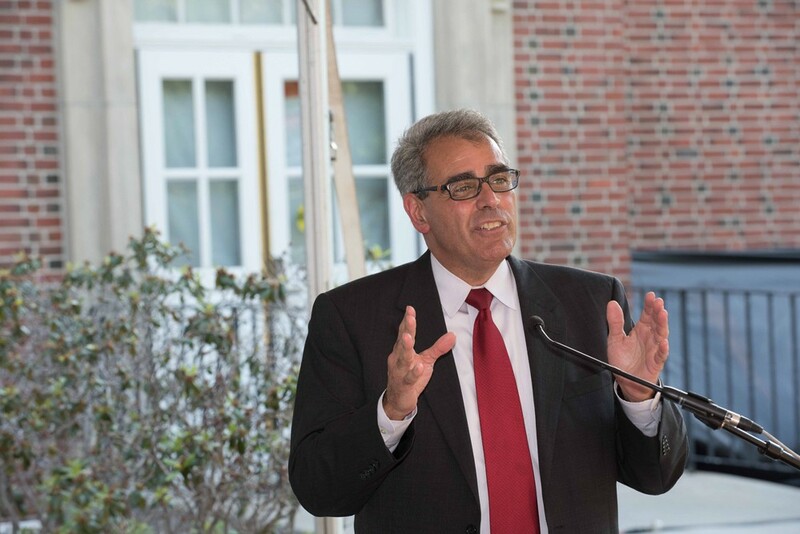 Introduced by Francis X. Dillon, the Vice President for Advancement, several speakers profiled the new center and what it means to the future of the College. 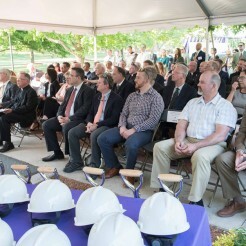 Additionally, academic administrators, trustees, students, faculty, staff, the architects of the new building from SLAM, and the building's construction team from BOND, were on-hand to mark the occasion. 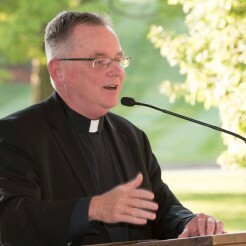 Below are excerpts from the speaking program. 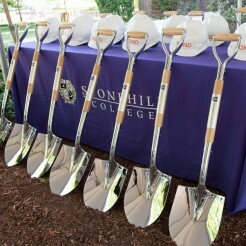 “This project, along with the new School of Business and other major capital renovation projects, is an affirmation of our commitment to continue investing in the College. 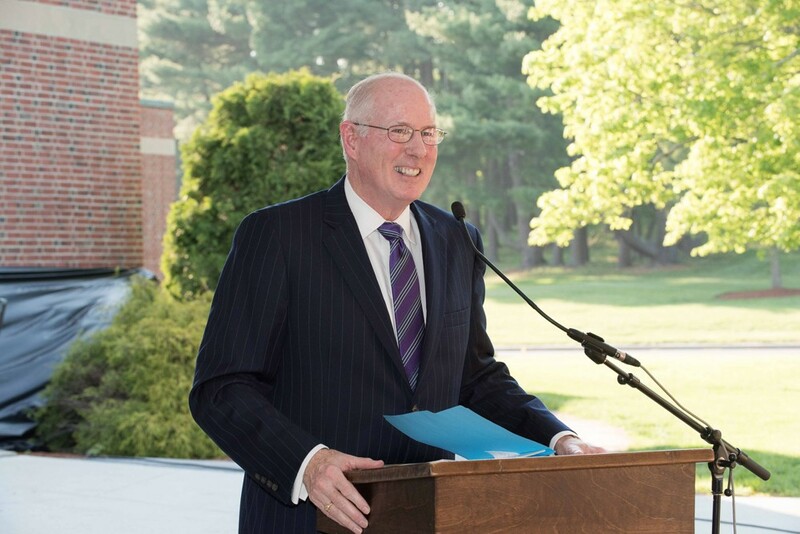 We are an ascendant institution with an aspirational plan that will serve us well for the 21st century,” said Patrick Griffin ’81, Chair of the Board of Trustee’s Campaign Committee. 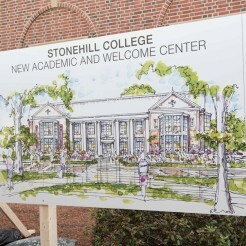 “Enrolling a class of academically talented students is no easy task these days. 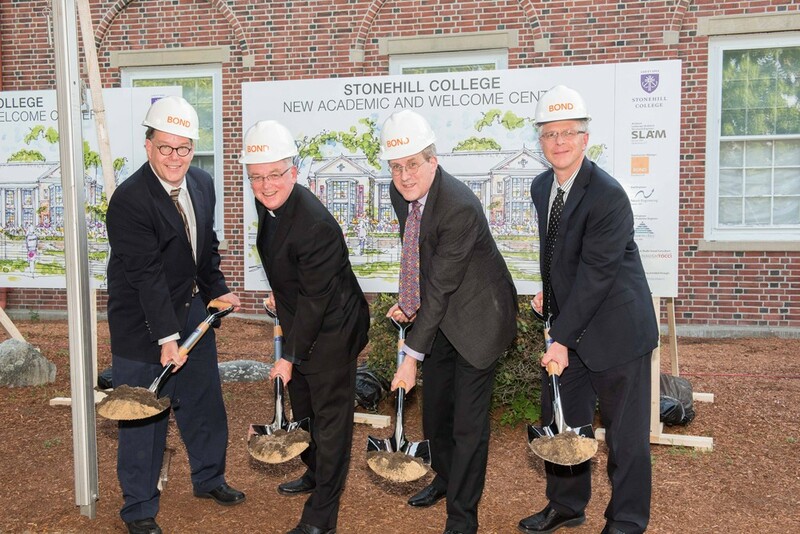 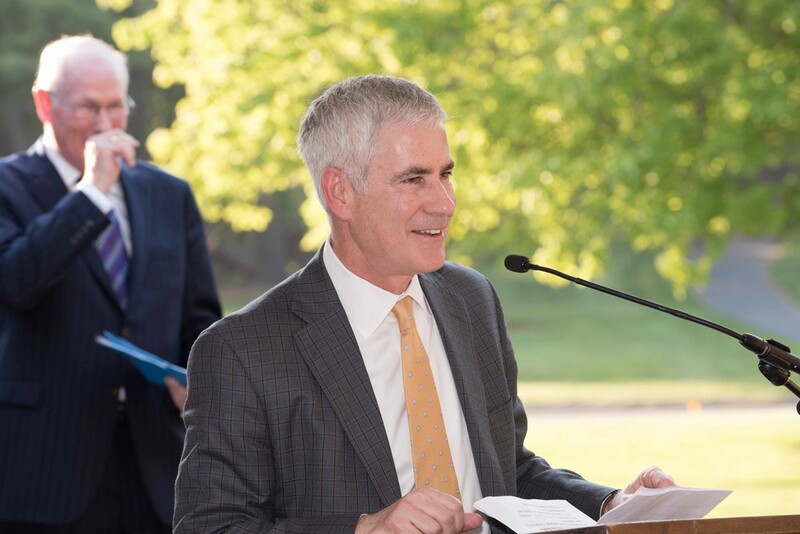 Competition is fierce,” added Patrick Burke ’84, Chair of the Board of Trustee’s Enrollment Management Committee, who hailed the new Center as an important gateway to introducing future students to the value/benefit of a Stonehill education. 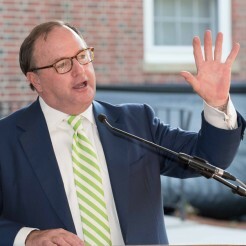 “We have a great product to offer bright young men and women—a talented faculty, a beautiful campus, first-class facilities, and impressive student outcomes,” said Burke. 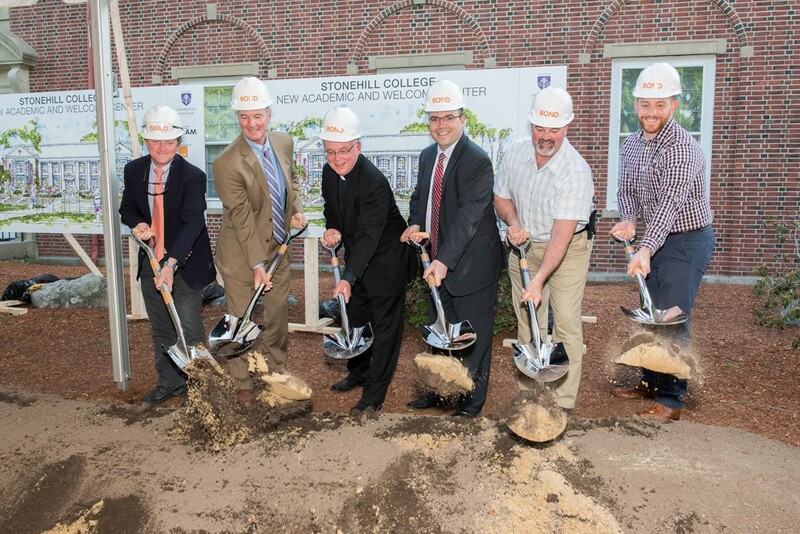 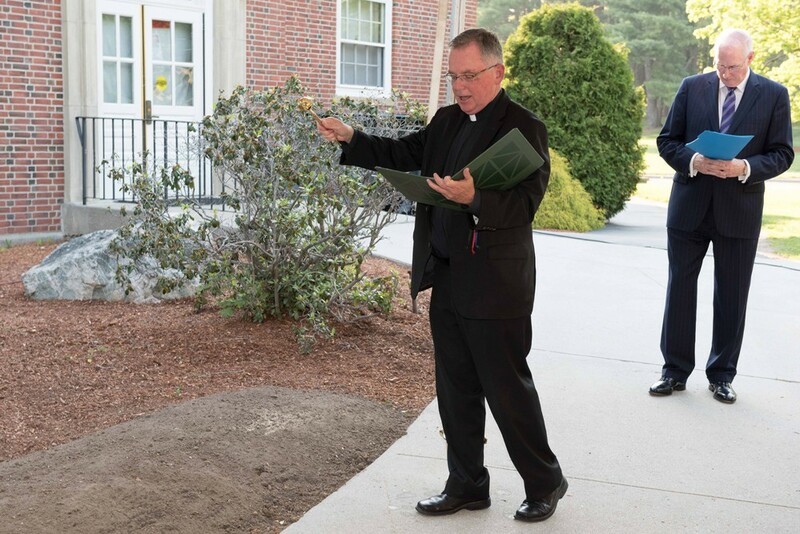 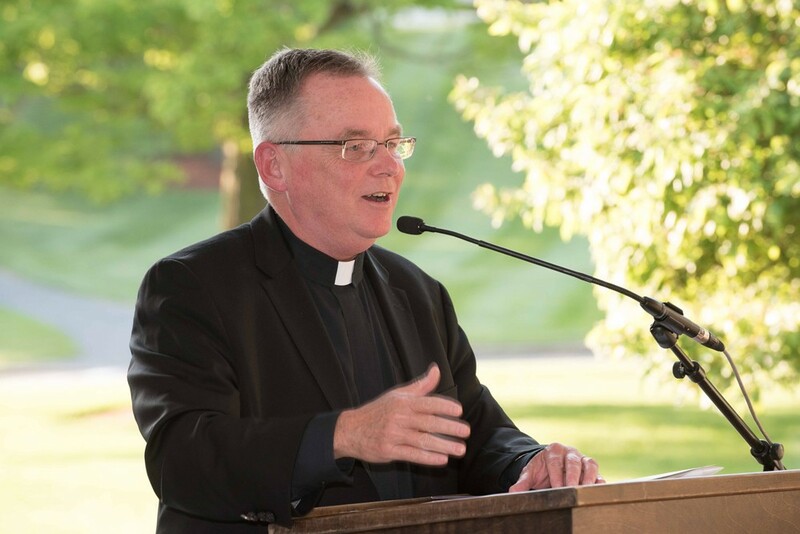 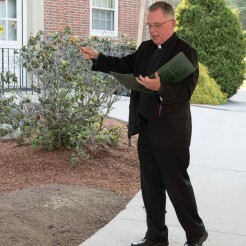 "A state-of-the art addition to campus, the Center represents a statement of confidence in our future and in our ability to realize our potential as an institution of higher learning," said College President Fr. 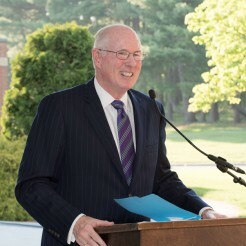 John Denning, C.S.C. 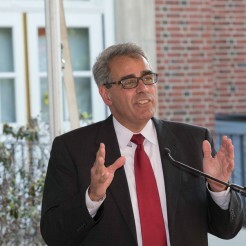 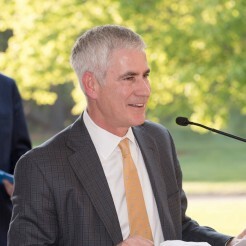 "The faculty who will call this building home are committed to guiding the restless hearts of our students towards a new way of being in the world, characterized by service to the common good, the practice of responsible citizenship, and the pursuit of personal and professional fulfillment," said Provost Joe Favazza. 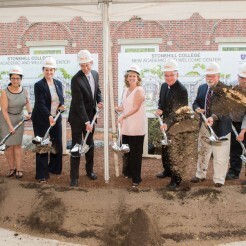 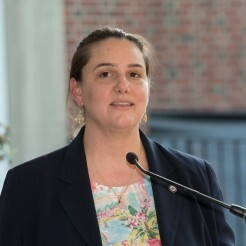 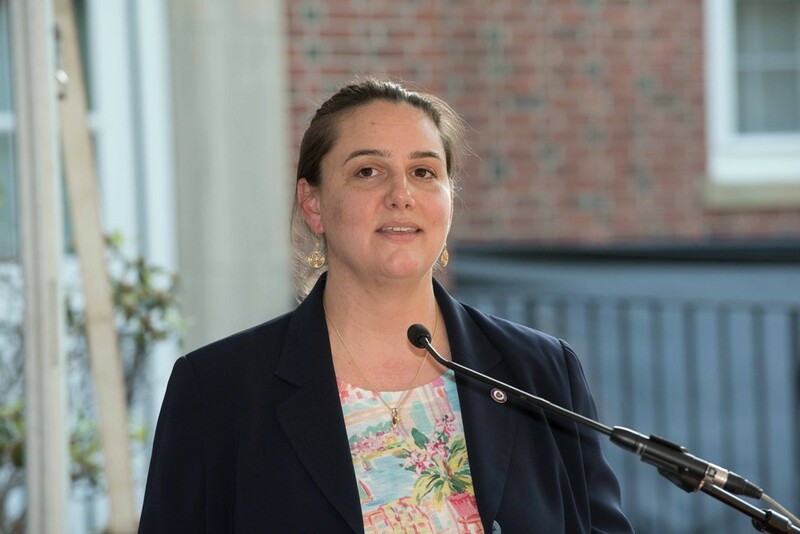 "The Welcome Center will allow us to meet the needs of our families, in allowing them to encounter, rather than observe, the Stonehill experience," said Catherine Capolupo, Vice President for Enrollment Management. 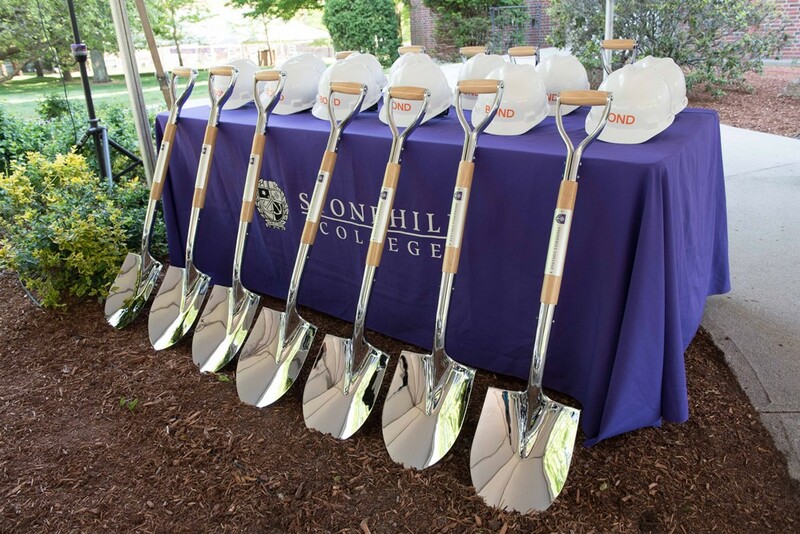 "It will be the setting where we offer our prospective students an authentic and wonderful introduction to a Stonehill education. 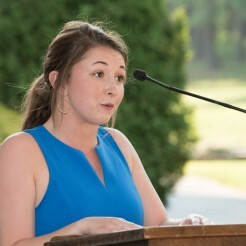 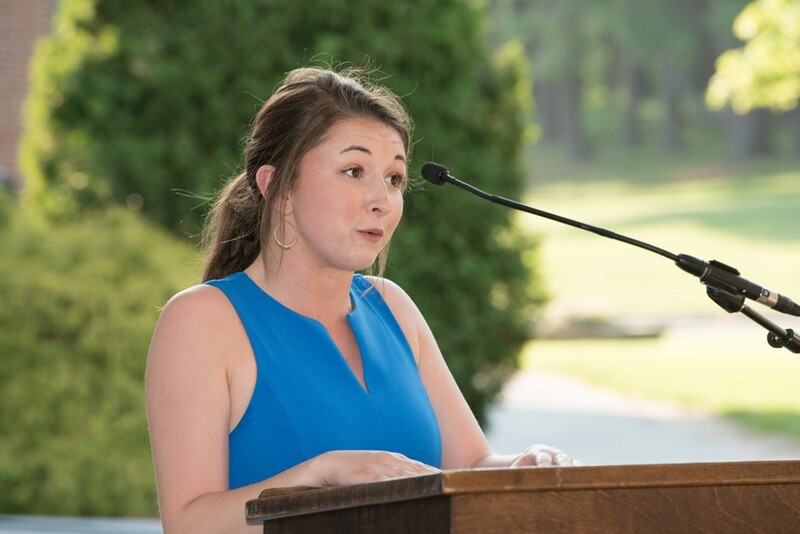 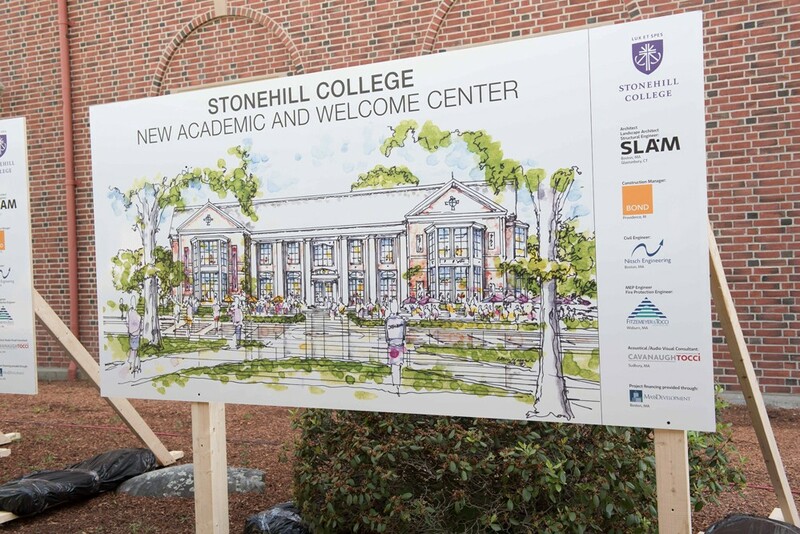 "I cannot wait to see how the addition of this Academic and Welcome center will bring a fresh energy to Stonehill, benefitting both current and perspective students in a variety of ways," said Samantha Miller '18, an economics major. 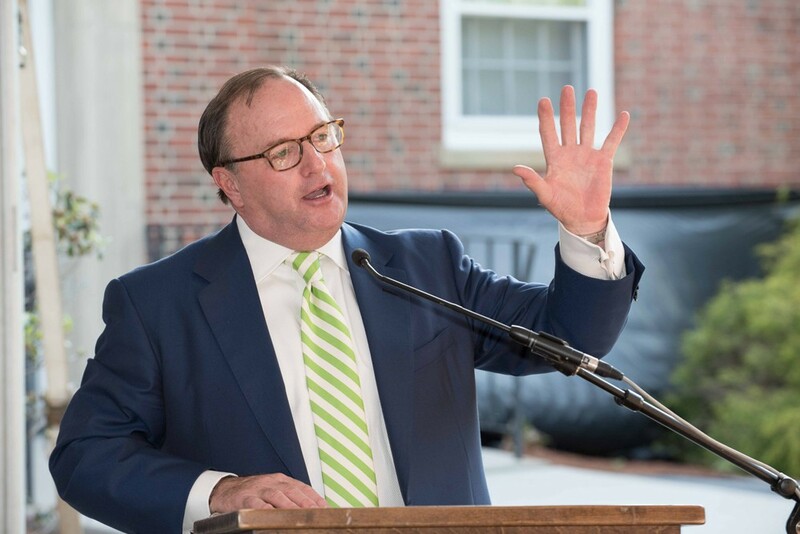 "This space will fill a void on campus and serve as a hub for student life for me and my classmates, who will learn and grow here in the years to come."